Savannah Resources Plc (LON:SAV) Chief Executive Officer David Archer caught up with DirectorsTalk for an exclusive interview to discuss the scoping study results for the Mina de Barroso lithium project. Q1: David, congratulations on releasing of the scoping study results at the Mina de Barroso lithium project in Portugal, can you talk us through the key findings of the study? A1: I think the main item is that of course that Mina de Barroso, which is the name of the project, really has significant potential to be a very major European producer of spodumene lithium. I think what the scoping study has also shown is that this can be done with some very attractive economic outcomes for ourselves and it’s highlighted the fact the project, on a 100% own basis, has an NPV of around about US$356 million and really handsome IRR of 63%. The IRR is the internal rate of return and that’s a measure of the, if you like, investment appeal of the development and that 63% number is really very significant. Savannah Resources are looking at a 1.3 million tonnes per annum open pit mine which will produce around 175,000 tonnes of spodumene concentrate per annum. Spodumene is the major internationally-traded lithium mineral and of course, Mina de Barroso sports the largest accumulation of spodumene lithium in Western Europe. Q2: Since acquiring the project just over a year ago, you’ve delivered a maiden resource which has been followed up by two upgrades. Can you talk us through this and is there scope for further upside to these figures? A2: Yes, certainly. We’ve maintained a very very fast pace of valuations at Mina de Barroso and, as you’ve mentioned, we’ve had three resource upgrades during the last 12 months and of course, and today we released the results of the scoping study. We’re intent on taking this forward as fast as we can towards overall production objective. In terms of further upside, we’re continuing drilling at Mina de Barroso, we have two rigs on site at the moment, so we hope that we might be able to have some further increase the mineral resource at Mina de Barroso. As well as that, we think there’s excellent potential to increase the mining rate as well, we’ve scoped it out at 1.3 million tonnes per annum, but we think we can increase that with further resource and some further project optimisations. We’re also looking at identifying lower strip ratio ores for the latter years of the project and we think there are also some significant operational cost reductions to be made with the optimisation of the site features in terms of the layout etc. and the movement of materials around the site. So, still excellent potential for this project. Q3: It sounds like you’re talking about streamlining the project but what are the next steps in terms of development for the project? A3: What we’re looking to do in the next month or two is to formally launch a full feasibility at the Definitive Feasibility Study that will take approximately 7 months to conclude and that will provide the final definition around the project. It will allow us to do a lot of the parallel work such as the definition and ordering of longer lead-time equipment and be doing further metallurgical test work studies and of course, the drilling programme will be going. 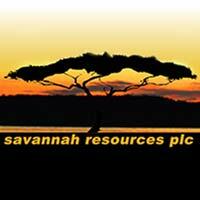 So, in overall terms, the tempo of Savannah Resources’ activities is going to increase markedly through to the end of this year. Click SAV for the full archive.